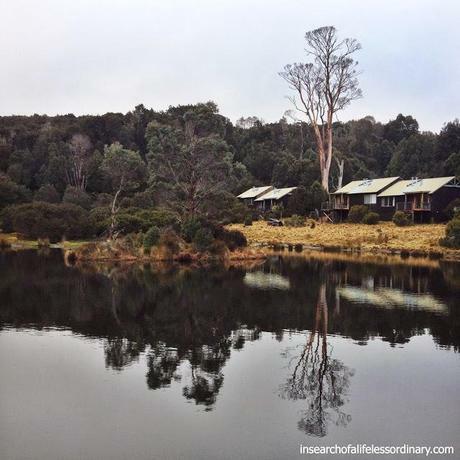 Editor's Note: Today my wife, Sarah, writes for the first time on ISOALLO about our recent trip to Tasmania and where we found a place of tranquillity among the pines, far removed from our surprisingly busy Sydney environment. I hope you like her post. I'm obviously biased but I think it's great. Life for many of us is busy and hectic. We often struggle to find the time to “stop and smell the roses”. A large part of our search to find a life a less ordinary is discovering a place of tranquillity where we can live our lives. A place that is quiet, serene and surrounded by nature. We’ve been lucky enough to visit some remarkable places on our travels that radiate an energy which makes you feel relaxed and at ease. We were therefore excited when offered the opportunity to visit one of those extraordinary locations again - Peppers Cradle Mountain Lodge. The lodge itself, along with individual accommodation cabins, is surrounded by the pristine wilderness of World Heritage-listed Cradle Mountain-Lake St Clair National Park. As we drive up to our spa suite cabin, I can imagine it being our own little hideaway to escape from the hustle and bustle of the world beyond. Firewood is stacked up outside our door ready to use in the open fireplace and we even have a wombat waiting to greet us at the cabin as we arrive. Now that’s what I call a true Australian wilderness experience! The interior of our cabin incorporates locally crafted Tasmanian wood furnishings, soft shades of green linen drape across the bed, slate tiling covers the huge bathroom and my favorite thing - luxurious bath and shower products that leave me feeling refreshed and invigorated. Once we’re settled in and enjoying the peace and quiet of it all, it’s time to think about what to enjoy for dinner. We have the choice of opting for fine dining in the romantic setting of the Highland Restaurant or, if we fancy something a little more casual, especially after travelling, then the Tavern Bar is a great option. The environment here makes me feel so relaxed. It has a certain vibe that we look for when we need a break away together. I also love having a mixture of things to do when we’re away and there are no shortage of options here. 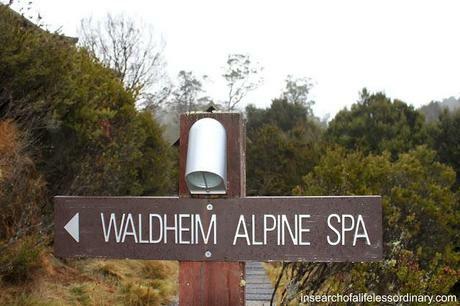 For a weekend of absolute relaxation, I can highly recommend taking time to visit the Waldheim Alpine Spa. On our last visit here, we enjoyed the dedicated therapeutic area know as The Sanctuary. This includes a steam room, hot tub and relaxation lounge with serene views over the Pencil Pine River. Need I say more! For the more adventurous, the best way to get out and explore the wilderness is to stretch your legs on one of the many different walking tracks in the area. This experience gives us a true sense of the local environment's diversity ranging from walking amongst open moorlands and heaths to temperate rainforests, steep gorges and forested valleys. On this particular trip we choose the latter and, after a long day hiking around Dove Lake, I find myself curled up on the sofa in our cabin with a large glass of red in my hand while reflecting on our time here at Cradle Mountain. This is a place of sheer tranquillity. I feel so calm here. I can hear myself think again. It’s only when I'm in an environment like this that I realize how busy and hectic our life on Sydney's Northern Beaches actually is. It's a beautiful part of the world with many cafes, activities and beaches to choose from but, as with any popular place, you're sharing it with tens of thousands of other people. 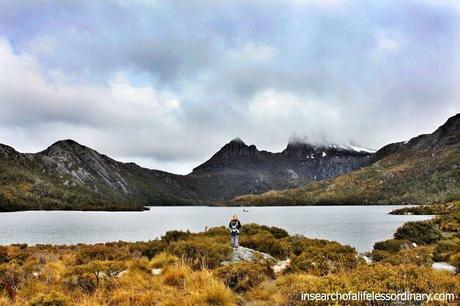 So I find myself in a calm and serene environment like Cradle Mountain and I ask myself whether I escape to tranquil places just to recharge my batteries or would it be better to live life full time in this kind of environment? Would I miss the hustle and bustle of living close to a city, finding this place boring after a while? I’d love to hear other people’s perspectives on this. Have you moved from a hectic lifestyle or busy city to your own “place of tranquillity”? Or do you think there’s room for both kinds of living – the frantic and also the tranquil? Tourism Tasmania hosted us for the four-day road trip across Tasmania as part of part of the Go Behind The Scenery campaign.